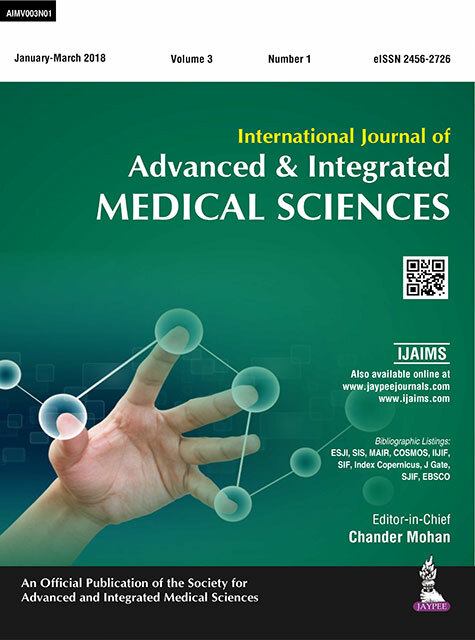 International Journal of Advanced & Integrated Medical Sciences is an official publication of the society for Advanced & Integrated Medical Sciences (Registered under Society Reg. Act. No. -21,1860). Read More..